(TriceEdneyWire.com) - I strongly believe that one of the most valuable members of any community is a master teacher. Rev. Dr. Jeremiah A. Wright, (77), Pastor Emeritus of Trinity United Church of Christ in Chicago, Illinois and Rev. 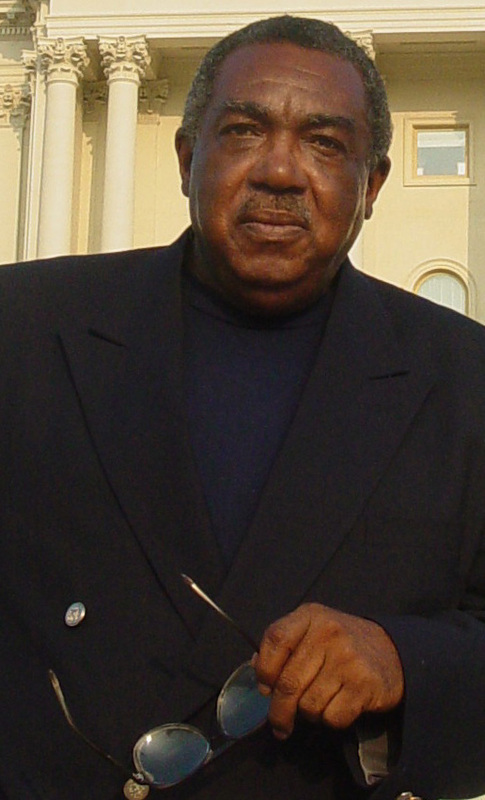 Dr. Howard-John Wesley, (46), Pastor of Alfred Street Baptist Church in Alexandria, Virginia are master teachers. A quote credited to Nelson Mandela is also apt to when describing them. He noted “A good head and a good heart are a formidable combination.” Pastors Wright and Wesley are both blessed with that formidable combination. Along with Dunbar, Pastor Wright also quoted Old and New Testaments, Maya Angelou, Brother Malcolm X, James Baldwin and Dr. King in his sermon. He also called out the word for God for some 15 African ethnic groups (not tribes, ethnic groups). Pastor Wesley delivered an equally compelling sermon two weeks after Pastor Wright. He began by saying to the congregation, “I am going to disturb you today.” He then began to preach and teach about “Surviving Lots” from childhood into young adulthood, he noted he was taught that Sodom and Gomorrah’s destruction resulted from the overwhelming presence of homosexuality. “Then I read the Bible myself,” he stated. That reading informed him about the treachery of Lot, who owned the equivalent of a modern day hotel. When an invading army threatened his hotel, noted Pastor Wesley, Lot offered his “two virgin daughters” to the leaders of the invasion if they would spare his hotel. He then stated that there is a sizable number of modern day Lots who sexually exploit, abuse and harass women. They include corporate executives, politicians, professors, entertainers, athletes and even preachers. He expressed special concern about black women, who throughout this country’s history, have been sexually exploited by white males. He was equally scornful of black men who use their positions to sexually exploit black women. He urged male congregants in the chapel to stand and pledge to not be a modern day Lots and to assist black women who are victims of such behavior. Like he warned, Pastor Wesley disturbed people with that sermon. On the other hand, he inspired them when he announced that his church had given $50,000 to financially strapped Bennett College and $100,000 to Howard to pay off the accounts of 34 seniors who are scheduled to graduate in May 2019. Now all they have to focus on is their grades. Alfred Streets contributions are the very definition of not just talking the talk, but walking the walk. Master teachers, Pastor Wright and Pastor Wesley, bring to mind a quote from David Walker. “David Walker Appeals” is one of the most revolutionary documents in Black History. “I would crawl on my hands and knees to sit at the feet of a learned man… For colored people to acquire learning in this country makes tyrants quake and tremble on their sandy foundation.” The two pastors are learned men.